Nearly a week has passed since Japan suffered its worst crisis since World War II. More than 5,800 have been confirmed killed and more than 9,000 remain missing after the 9.0-magnitude earthquake struck the northeast coast of Japan six days ago. The hundreds of thousands now displaced by the quake, the ensuing tsunami — and now, fears of radioactivity — are scattered across the country, finding shelter and aid where they can, as they begin to rebuild their lives as survivors. Search-and-rescue teams from several countries have now joined Japanese forces, scouring the vast fields of rubble that were neighborhoods and towns just last week. Collected here are recent images of the ongoing recovery efforts and of Japanese citizens coping with this historic disaster. 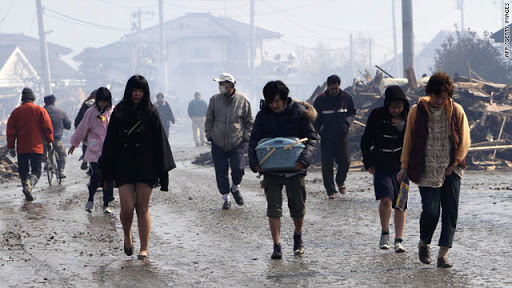 The massive earthquake and tsunami that hit Japan a few days ago has had devastating affects on the people. The death toll has been steadily rising and many people are seriously injured or have a lack of supplies. Many survivors fear the affects of radiation coming from their nuclear power plant However, despite all the complications Japan has gone straight to work to help out people affected by the tsunami. The last time there was a major tsunami was in 2004, when the waves wreacked havoc on the people of Sri Lanka. After this natural disaster, the people in the US came together to show their support for the victims of the tsunami. Within days schools, churches, and organization donated money and supplies to help the people. It seems that this time people in the US are not so eager to help out even though this natural disaster hit much closer to home. Some of the waves even hit Hawaii. Maybe in this time of economic distress people are less willing to donate or maybe it is because Japan is capable of recovering without our help. Or it could just be because some Americans simply do not like the Japanese. The comments section of articles covering the tsunami are full of nasty remarks. Some feel we should not help them because of Pearl Harbor. Other people seem to think the Japanese deserve this, this is what they get for killing whales. Not many people are advocates of whaling, but that does not make it a legitimate reason to not help the Japanese. A majority of the Japanese people do not participate in whaling. Many are not even supportive of the practice. Japan is also not the only country that is known for whaling. Iceland and Norway are in favor of the practice. Does this mean if either of those countries were to have a major natural disaster we would not help the either? Whaling is a tradition in Japan that had been common long before people started caring about animal rights. It is impossible to change such an entrenched tradition overnight, and the Japanese are making an attempt to stop this practice, which is evident in their compromise over the whaling ban of 1986. If the Japanese are willing to make the effort to stop this practice why should we hold it against them? Although this by no means reflects the views of the majority of Americans, it is sad to think that some people believe this. Normally people from all over the world come together to help out when a disaster like this happens. After our national tragedy 9/11, other countries showed their support. The French Prime Minister was even quoted as saying “Tonight, we are all Americans”. As human beings, we should all be showing the same support for the Japanese people. First of all instead of the negative news, I wanted to tell you how well some people coped and still is coping with the disaster today. As you might already know, Japan is an earthquake country. The shaky ground is not something rare to experience if you live there. All schools and work places have escape practice with an earthquake scenario every now and then. What we do when the earthquakes hit is, in short, two things. ■One, hide yourself under something solid (i.e. desk) to protect yourself from things falling down on you. ■Two, get out of the building and go somewhere open, leaving the windows and doors open behind you. The reason of leaving windows open is because the door frames can get warped by the shakes and you might not be able to open them. That means someone could be trapped in a building that could collapse any time. Also you can go in the building easily after the earthquake. The surviving knowledge came in handy for my mum on Saturday. “I had to bolt out of the house!” She told me with laughter. She grabbed a tree in her garden to hold on, her eyes were fixed on an electric light pole near her house, swaying side to side. The pole could crush her house, but it fortunately didn’t. It managed to stand until the ground stopped shaking. When settled, She came in the house and started cleaning up the mess in the house. Most of the stuff on the overhead shelves were on the floor. Then, she soon discovered about the blackout and restricted water supply. Turning the town water tab only brought a few drops per second. She placed a bucket under the open tab to collect those precious drops. All shops were closed immediately. I’d imagine they couldn’t operate with fallen items on the floor and no electricity at the checkout. The time had past with confusions. The sun was getting lower. No electricity meant she had to prepare for the cold night ahead. Thankfully, her gas stove was working. She boiled the water to make a hot water bottle and stayed in her bed. While she was keeping herself warm, my brother & I were trying everything to contact her. We both live far from our mother and had no way of contacting her because of the blackout. She has an electrically-operated home phone, a power-line internet, and no cell phone. After hours of scary moments, my brother managed to send his friend checking on her. That’s how we knew that she was safe. The power was back before the night arrived. We talked on the internet. She was indeed doing fine. She was taking it easy and not too worried about contacting anyone. (She seemed surprised when my brother gave her a lecture.) The town water supply was completely stopped by the evening. People had to go to the community center to get water. Luckily, my parent’s house has access to the spring water that is running underneath their house. As long as there is the electricity for the water pump, the water is available. On day three, shops started to open. People made a big line up at the register. The number of items that people can buy was restricted. The town water wasn’t yet running. My mother offered access to the spring water to her neighbors. She became popular between them. They came to her house with small gifts, usually long lasting food like instant noodles or tinned food. They must have bought from the shops with the restriction. My mother was accepting those gifts last time I talked to her, but I suspect she will stop accepting gifts very soon or she will start donating those to less fortunate people before her house is filled with instant noodles! There are many of less fortunate people there. But I believe in their power to recover soon. There were a few earthquake disasters in Japanese history. One I remember was in 1995, when I was still living there. It was horrible, but people became stronger to help each other. I believe that the same power is still there and I really hope that they will recover very soon. Japan is the most heavily indebted country in the developed world, with a government debt-to-GDP ratio of around 200%. Only Zimbabwe carries a larger load. (America’s ratio stands at 95%.) As a result, in the immediate aftermath of the quake and with the nuclear disaster still unfolding, experts began to question whether the government would be able to finance a massive reconstruction effort. After all, for the third year in a row, the Japanese government is expected to raise more cash from borrowing than from tax collections in the fiscal year that starts next month — $547 billion vs. $506 billion. And even with ultra-low borrowing rates, annual debt service payments are ballooning and now total $266 billion compared with the $355 billion spent on social security. Many have begun to wonder whether this will finally catalyze the crash in Japanese government bonds they have anticipated for decades — pushing ultra-low borrowing costs higher as concerns about credit risk overpower the waning strength of Japan’s army of domestic savers. This would create a self-feeding debt spiral as higher interest costs force additional borrowing, in turn forcing borrowing costs even higher. He is understating things. Make no mistake, this disaster has brought the next phase of the sovereign debt crisis to the shores of Japan. What started in November 2009 in Dubai and spread to Greece, Ireland and Portugal last year has now moved to one of the world’s wealthiest nations. The fallout — fiscal, not nuclear — could be devastating far beyond Japan. The solution, if Japan’s leaders are brave enough to embrace it, would be social and immigration reforms on a scale not seen since Commodore Perry’s “Black Ships” sailed into Tokyo Bay in 1853 and forced an end to more than 200 years of extreme isolationism known as sakoku. Japan needs a younger, more dynamic workforce. And it needs to import it. Right now, Japanese 10-year bond yields stand at just 1.2%. Moody’s credit analysts, who downgraded Japan’s sovereign credit rating in January, don’t expect the government to get around to fixing its debt problem until the mid-2020s. The problem is a fiscal deficit that amounts to 9.1% of GDP and is driven by hard-to-cut welfare payments. The outlook is grim: Deflation keeps Japan’s economy from growing, increasing the real burden of its debt. A rapidly aging workforce suggests the dynamic will continue as the dependent-to-worker ratio swells. Only an influx of workers will solve that problem. Clearly, we don’t know the extent of the damage in Japan just yet. But in the words of Julian Jessop at Capital Economics: “The greater the social and economic damage, the larger the threat to the government’s ability and willingness to ward off a fiscal crisis.” At the end of the day, Japan’s politicians will be pressured into easing the human toll, no matter the hit to the country’s credit rating or borrowing costs. For the global economy, the timing of the disaster “could not have been much worse,” adds Jessop, since it increases the chances of another global debt crisis at a time when investors are already contending with a litany of concerns. From budget fights in Washington, D.C., and Wisconsin, to the Libyan civil war, and now a massive natural disaster, all types of fresh negative catalysts are hitting the newswires. And they are all coming at a time of particular vulnerability, since rising inflationary pressures are forcing central banks around the world to tighten their policy stance and force interest rates higher. Teams of Wall Street economists have been busily trying to calculate the cost of the disaster. The numbers aren’t pretty. Credit Suisse economist Hiromichi Shirakawa estimates that total economic losses in the disaster zone may amount to just over 6% of Japan’s GDP, or around $370 billion. Nearly 25,000 houses could have been destroyed — triple that of the Great Hanshin earthquake in Kobe. Including those moved because of the nuclear power incident, there are upward of 300,000 evacuees. More than 2 million households have had their electrical power interrupted. For perspective, government officials put the cost of the devastating 2005 Hurricanes Katrina and Rita, in 2011 dollars, at $102 billion — less than 1% of U.S. GDP. Still, overall losses amount to just under 40% of that seen in the Kobe earthquake, since the area affected by the Tohoku quake is dominated by industries like fishing, forestry and agriculture that don’t require big factories or other infrastructure that a quake or typhoon can take down. The Tohoku quake has affected a much larger area — so manufacturing may not be quickly relocated, and production delays are likely since Japanese factories operate lean, with minimal inventory. Maruyama also expects consumers to cut back for a long period across “a wide swath of the country” including Tokyo, which is being hit with strong aftershocks. As a result, manufacturing, spending and overall economic activity will likely suffer a multi-month growth slowdown. WHY WE WILL RECOVER AND HOW. From a genetic perspective, Japanese or northeastern Asians adapted to a cold climate requiring extended critical thinking skill. Also, only the most intelligent and well adapted went on to survive and reproduce. Japanese have a sense of comunity and sharing. If you compare the looting after Katrina plus the same hordes that pillaged all over after the Haitian earthquake, you will not find this situation in the Japanese counterpart. There is a couple of words that they will need from a strong activist or leader to put their mind and thinking to work; this phrase is, ” calm down..”. From centuries or perhaps thousand years the Island has raised up from its ashes… and this time the will of the Japanese people is to do it right in order to honor their relatives that are gone. Apple’s invitation to its announcement teased recipients with the number “2,” causing many to anoint the next iPad the “iPad2.” Nothing like a little cockiness to usher in a new product. The Yerba Buena Center for the Arts was host to the original iPad launch. We are now on site, checked in, huge crowds forming, TV trucks, and a buzz of expectation is inescapable. Next door is the Game Developer Conference (GDC), a massive event produced by our parent company, TechWeb. We understand Nintendo is keynoting right about now. All eyes on Howard Street in San Francisco right now. Soon, we’ll be on the inside, showing photos and giving play-by-play right here. Steve is here and announces his new toy, for the confort of all of us. Even though he is absent, he makes sure his word is heard. UPDATE- March 2nd! See the iPad2 Release Date post! The ipad2 will be sleeker, thinner, smaller, sexier, less cumbersome, and if Bill Gates released it; he would use the words “More Intuitive”, since he says that about everything. But since it is an APPLE product, well, we are hoping Steve jobs can make the introduction. Since he took another medical leave of absence, someone else may unveil it. We wish Steve Jobs a speedy recovery. 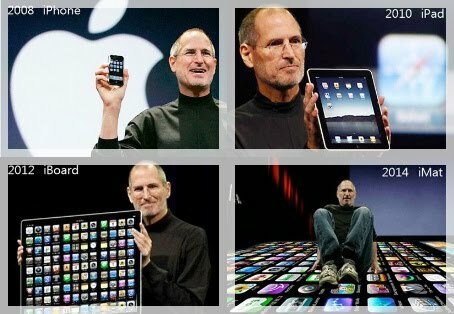 So, what has Apple let us know thus far about the iPad2? Well, about as much as Steve Jobs tells us about his medical condition. Well LESS actually, since as usual, Apple is silent about what is coming down the pipe. But we all KNOW the ipad2 is coming, along with the iPhone 5, and the next generation Apple TV. All we have is info that has leaked to various sources, from manufacturers Apple uses, and aftermarket manufacturers who have been given some specs ahead of time. Well, we are going to try and put everything together here from the iPad2 rumor mills. Below is a summary of the iPad 2′s rumored feature set, with comparisons to the current iPad in parentheses and italics. WOW! That’s enough to make me pre-order an iPad2 today. but wait, there’s more! The memory is not yet known. We are all hoping for 128 GB! Some of us LOVE to store movies. But we should expect the max version to have at least 64 GB. But, again, the iPad2 will have that SD Card slot! FINALLY an Apple device with EXPANDABLE memory of some sort! Can’t Apple give us BATTERIES that can be changed, too? but I digress….. but hold on a second… Sources are saying that this card slot may be for transferring data only, like making it easy to upload from your camera. It may not be USABLE to store movies, music, and other files on? Well, I don’t like THAT. First possible negative I see on the iPad2, even though it is still an upgrade. BOGOTA, Colombia – The mascot owl that was kicked by a soccer player is dead, with the apologetic perpetrator ordered to pay the bird’s medical bills and do volunteer work at a zoo. The owl, a good-luck charm for the Colombian team Atletico Junior, was kicked by an opposing player during a game Sunday in Barranquilla. The bird had been expected to recover from what were thought minor injuries, including a small fracture of its right leg. 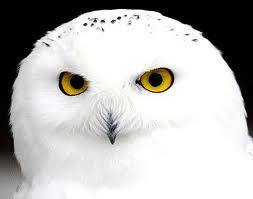 But Veterinarian Camilo Tapia said the owl went into shock after it was brought in for treatment. Humberto Mendoza, the director of agency overseeing environmental issues in Barranquilla, said he was investigating possible sanctions against Moreno. “We are gathering information to determine the level of aggression,” Mendoza said. Mendoza said Moreno would have to pay the cost of treating the owl and visit a local zoo for volunteer work. Officials for Deportivo Pereira and Colombia’s soccer federation said Moreno also could face a suspension or fine.